As a young kid, I recall seeing various ‘secrets of life’ advertized in magazines. One low price for the secret to wealth, power, beauty, wisdom of the ages… and so on. 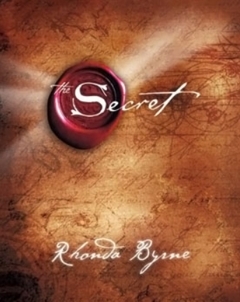 Recently, The Secret came out on the market and apparently was wildly successful. Could its success be because it just was promising us exactly what we desire in an entertaining and easily digestible way? My symptoms point of view tells me yes, of course. This reminds me of the biblical warnings about false prophets who presumably offer some sort of secret. Usually, all you need to do is follow the money, as they say. Sure, I enjoy a tasty ice-cream just like everyone else, but my deepest joys are priceless. It is not that they are too expensive; it is that they are not for sale. Similarly, of life’s deepest insights, the only true ones are free. The deepest secrets of life are an open secret—nothing is hidden. It is right in front of us. We can’t see ‘it’ because our needs and fears create in us a blind spot. You could say, all we need to do is open our eyes and look. The trouble is that we usually can only see a reflection of our desires and worries, rather than what is naturally and truly there. Nature ensures that we take these emotions deadly serious. Ironically, this blinds us to the subtler aspects of nature. Judge not, that ye be not judged. For with what judgment ye judge, ye shall be judged: and with what measure ye mete, it shall be measured to you again. “That ye be not judged” may seem to mean that God will not judge ye. Taken as a whole, in context with the last line about the “mote” and “beam”, I have little doubt he was speaking to the projection process to which we succumb. Like today, back then people didn’t appreciate how much our actions are symptoms rather than causes. As stated here, it implies that if you don’t judge others, you won’t be judged. That puts the cart before the horse. Our judgment of others originates within ourselves, and the way we view the world. Our judgments reflect who we are… they ‘judge us’, so to speak. Our judgment projections distract us from the source — ourselves. The judgments we make are essentially ‘answers’ that ease our deepest sense of emptiness and the void. We feel a desperate need to nail down reality. Names and words, in general, help create the illusion that we know something. 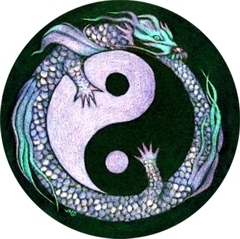 However, the Taoist ‘secret’ lies beyond the words and names. Indeed, our reliance on words and names blinds us. I suppose that is what makes it truly a ‘secret’. Seeking questions rather than seeking answers helps de-emphasize the hook that words and names have on our mind. Indeed, simply ‘knowing’ the words and names of our native language serve as core answers onto which we cleave, to shield us from the awesome emptiness our cognition is capable of perceiving. Using Yin and Yang to Pop Preconceptions can be a useful tool for untying some of the knots in which names and words tie up the mind. Couplets and the Co-generating Principle looks at this from another angle. Chapter 56 sums this up well. Note: I substituted the original “speak” with “think”. After all, thinking precedes speaking. Knowing doesn’t [think]; [thinking] doesn’t know. The void terrifies us; words and names serve as ‘blinders’ to comfort us to some extent. They also disconnect us from the spontaneous ‘in sync-ness’ with emptiness that every other animal experiences. This feeling of disconnect leaves us yearning to reunite, and this drives us to seek answers which give the illusion of union. Words and names are simply the building blocks of the cognitive answers we seek… and find. When we seek answers, we often get stuck in the answer. In fact, answers blind us to the degree we believe the answers to be true. If more of our focus is on the ultimate question, that ball keeps rolling and we can’t easily become bogged down in any particular answer. Therefore, distrusting any answers that feel like they are the answer—the Secret—frees the mind to see the secret better, if that is one’s wish. Whatever danger lies in ‘answers’ is lessened if they are seen as transitions, or placeholders for a deeper ‘knowing’ yet to be. Of course, nothing comes ‘free of charge’ in nature. The trade-off here is putting up with a somewhat disconcerting sense of emptiness and ‘profound sameness‘. Hi Carl – Leslie posted this article and I have just read it. For me the saying be still and know that I am God is like what you describe as the profound sameness. I cannot get to this deep awareness very often but when I have I describe it as being in God and God being in me – my language is Christian but the knowing is so similar. Thank you for sharing what you have written.